Have you ever seen a film at an IMAX movie theatre? The experience is breathtaking. With IMAX, you’re not just watching a film – you become part of it. And, once you’ve experienced the different, you’ll never want to see a movie the “old way” again. At Legacy Dental Group we’ve invested in a 3D imaging machine that makes regular x-rays seem obsolete, and takes you into the enhanced realm of modern dentistry. We’re talking about the new Sirona Galileos – it’s like the IMAX for your mouth! 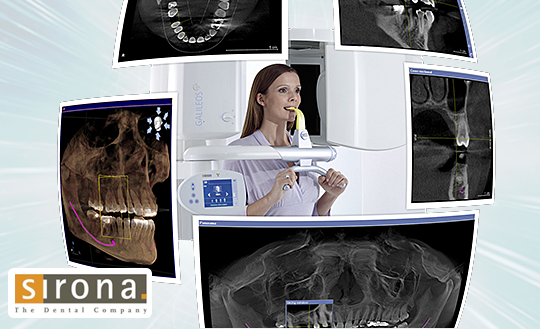 Unlike traditional x-rays, the revolutionary Galileos imaging machine rotates 360°, snapping away digital images that capture not only your teeth and all root canals, but your jaw and skull as well – and best yet, it’s all in full color. It’s a view that cannot be duplicated by even the best digital 2D x-ray machine in existence. If you are planning any of the above procedures, we might recommend the use of the Galileos to get the most complete view possible of your mouth. Not every dentist can provide this level of thorough care, and we are pleased to offer this improved technology to you.